netjukebox is a web-based media jukebox for MPD, VideoLAN and Winamp/httpQ. 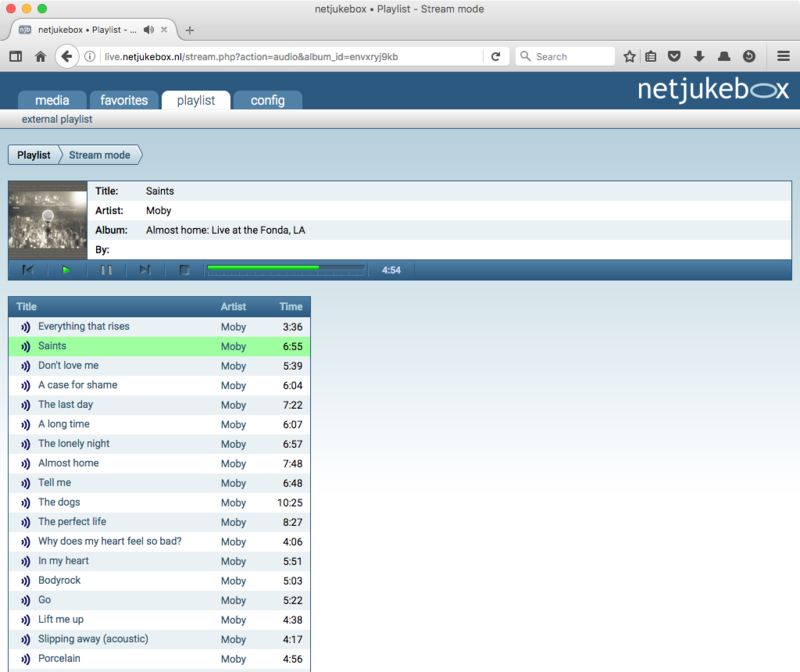 netjukebox is open source under the GNU GPL license. So you can play your favorite music and video from your local harddisk. Play music and video from any computer in your network. A working network share is required. Remotely control MPD, VideoLAN or Winamp from any computer. Native HTML 5 audio streaming support. Automatic M3U/HLS fallback for unsupported clients. Download the original file or transcode to another format or bitrate. Generate PDF cd-covers on the fly.